Columbia Space Initiative’s (CSI) all-new, in-house produced space podcast, This IS Rocket Science, created by Henry Manelski now contributes to the overall partnership between Sophie Gerson Healthy Youth and Columbia University. The first Rocket Science episode was released October 21st to Spotify, with neary weekly episodes following. Click on the episode you’d like to hear on the media player above. In 2017 SGHY added added collaboration with Columbia University Departments of Athletics and Science, bringing students to University athletic events and science laboratories, and introducing Columbia faculty, coaches, and students to our schools. 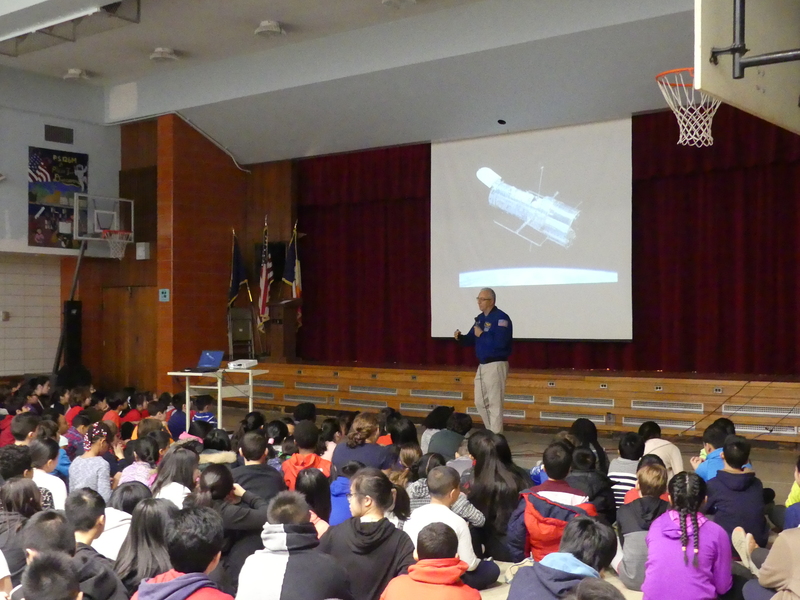 One such event included former astronaut and Columbia Professor, Mike Massimino. In 2018 this collaboration has grown exponentially. This year CSI brings a very special auditorium program to our schools – inspiring our kids with their insights, role models, power-point presentation, drone and paper airplanes! CSI leaves our students with new insight into space science, with inspiration to do well in math and science so that they can grow up to become scientists, engineers, or even astronauts!! CSI is also hosting our students on the Columbia campus with exciting hands-on activity! They do this all as volunteers! The This IS Rocket Science podcasts are being shared with the Middle Schools that Sophie Gerson Healthy Youth has adopted as part of the overall science program for – MS 302 in the South Bronx and MS 126 in the Lower East Side of Manhattan. These podcasts are a fun and engaging way to learn about space, so teachers can use them as teaching tools or recommending it to their students for class work and projects. Tagged Astronaut Mike Massimino, Columbia Space Initiative, Henry Manelski, Podcast.